We have more than 120 complete product lines to choose from, and our flooring showroom will surely inspire you and your client with our options. At ProSource® of Rochester, our designers will maximize your available time by helping you quickly navigate our selection. Within our beautiful selection, however, we also strive to make our flooring options part of the solution and not simply decor. Perhaps your client has accident-prone children or pets who are known for destroying certain sections of the flooring. We have flooring products that are waterproof, scratch proof, spill proof, and heavy-traffic proof to make their flooring work for them. Our carpet flooring options range in colors, styles, fibers, weights, and brands. 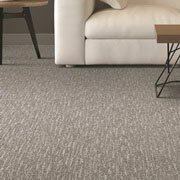 Carpet is a soft, luxurious flooring option that is undoubtedly popular. Choose one that works for your client’s style and budget with one of our designers. 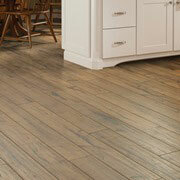 The natural grooves, knots, and grains of hardwood flooring are captivating and add character to a space. 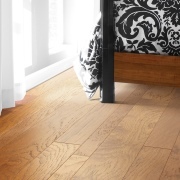 The hardwood itself is durable and will help that character stay in the space for years. We have eco-friendly and budget friendly alternatives, including bamboo and engineered wood flooring. 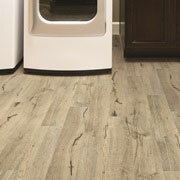 Laminate flooring is an economical alternative to hardwood flooring when the cost is just too high. We have three different wood species replicates that look realistic and will add beauty to your client’s space. 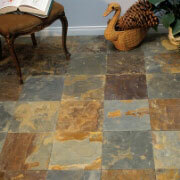 Tile flooring is a great way to personalize the look and feel of your client’s home. We have a colorful selection of ceramic, porcelain, and glass tile you could use in your client’s bathroom, kitchen, or elsewhere. Because the technology of luxury vinyl tile (LVT), luxury vinyl plank (LVP), engineered vinyl plank, engineered stone, and sheet vinyl has increased over the years, your clients enjoy vinyl that both looks and feels like stone tile or hardwood.